Currently in Maryland, to become a dispensary attendant or “budtender”, the only qualifications you need are being over 21, registering with the Maryland Medical Cannabis Commission (MMCC), having no felonies or drug convictions on your record, undergoing a criminal background check, and getting fingerprinted. In addition to meeting these requirements, people who want to work as attendants take part in a basic educational workshop about medical cannabis once every twelve months. What’s missing? Detailed knowledge about medical cannabis. And that gap has the potential to have a significant impact on patients. “The current mandated training is completely inadequate to empower these attendants to actually help patients get a basic understanding of their medication and to identify people who may be coming in impaired or intoxicated, which could indicate misuse or that the patient is receiving the wrong strain or dosage of medication,” he cautions. 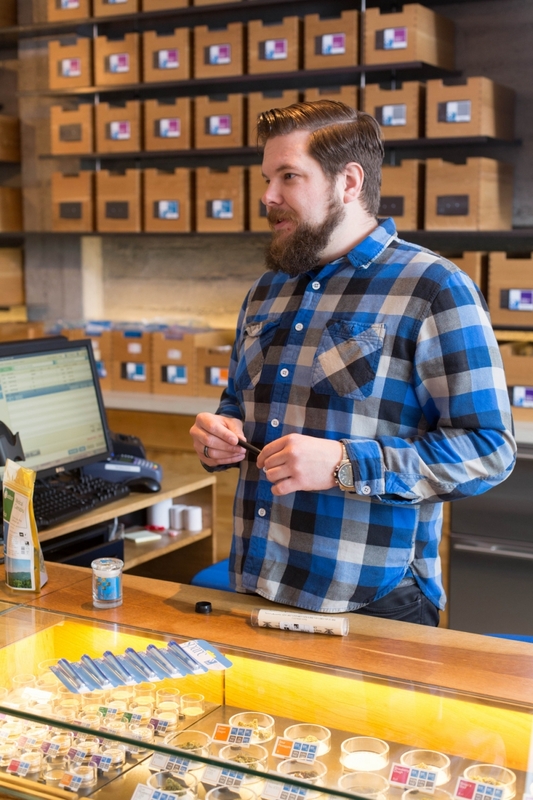 Maryland pharmacist Jason Weise, who has developed an in-depth, hands-on, Maryland-specific attendant training program agrees and notes that having well-trained and educated attendants also has a business benefit for dispensaries. Weise predicts that the education of dispensary attendants will follow the same path as the process did for pharmacy technicians 20 years ago. Chains will develop training programs that will be reviewed and approved by a national organization or association and continuing education will be required of all employees in this role. Eventually, attendants may be licensed by a state board. There’s another area of concern—patient safety. Attendants who don’t receive in-depth training to build the knowledge they need to answer patient questions may put patients’ health at risk. In addition, a negative reaction, like feeling intoxicated or not receiving any relief when using a medical cannabis product, may discourage patients from trying again.